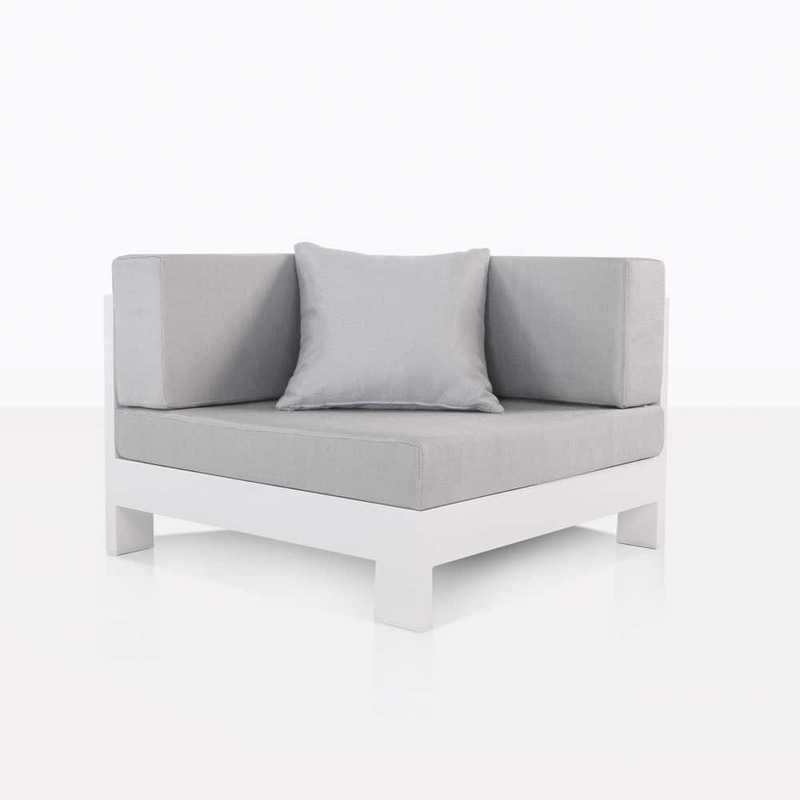 Elegant, chic and sophisticated… the coffee table with a difference is exemplified with Amalfi! Sleek, low to the ground with a wide tabletop makes the Amalfi Aluminium Coffee Table in White a must-have when updating your furniture or going for the full look with the Amalfi Collection. Our Amalfi suite is about chic, minimalistic, modern style. We are keeping things cool and calm with this one. Perhaps your home has a lush, green backyard that is needing some contrast and breaking up of the look. Centre your Amalfi Aluminium Coffee Table, and surround with Amalfi White Chairs or Center pieces for a welcoming, well-groomed look. Or perhaps you are looking at our Teak Amalfi set? Give yourself a unique, classy look by incorporating this slice of panache into the mix. 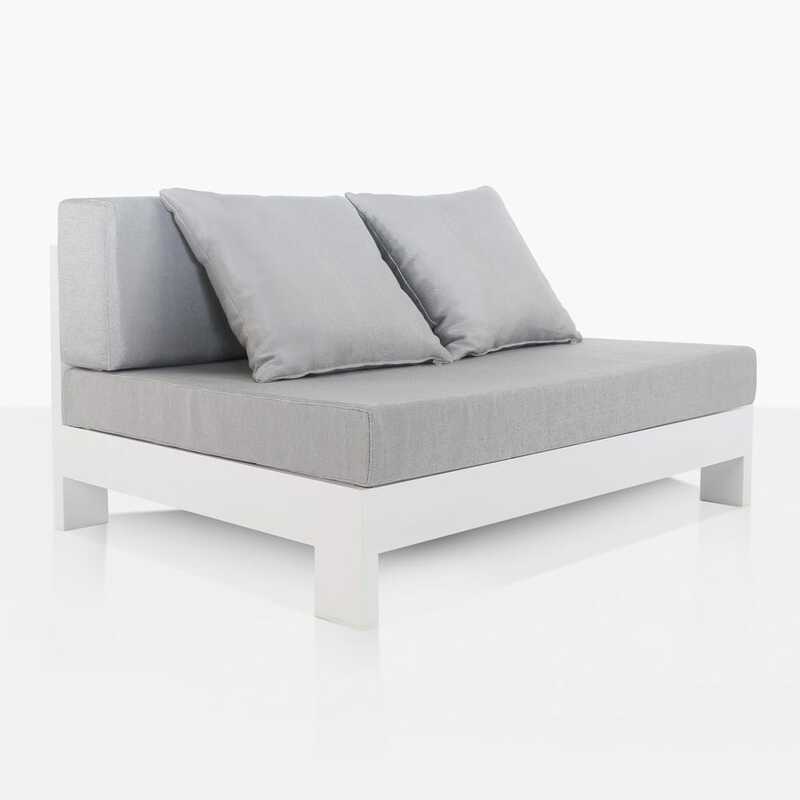 You’ll love the blend of the hard wood with the chic metal. 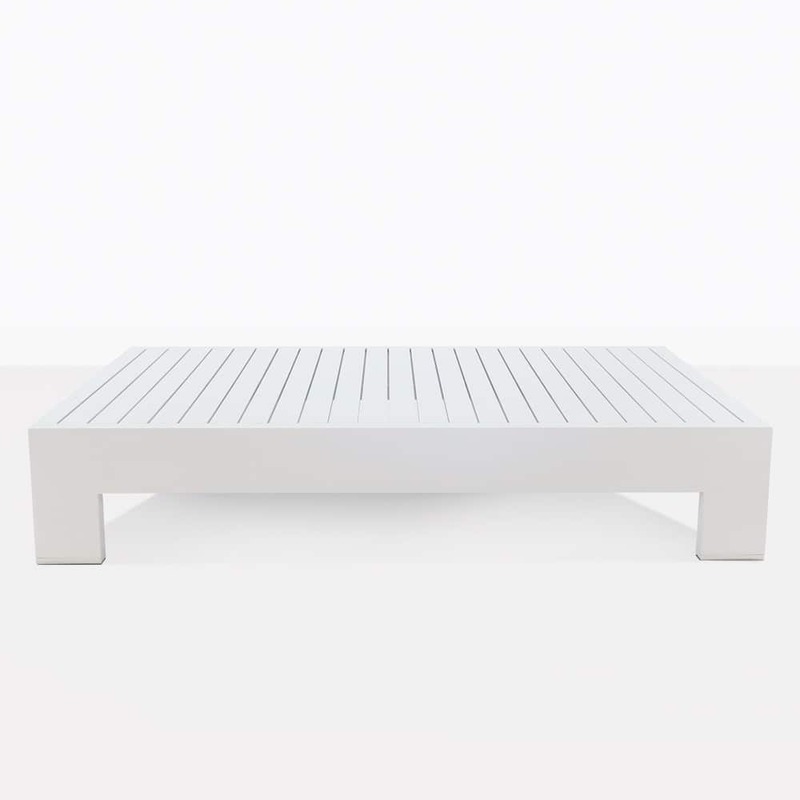 The Amalfi Coffee Table in White is made with powder coated aluminium which as well as being absolutely gorgeous, is a magnificent choice for outdoors. The coating protects the metal from the harsh elements, meaning that you are selecting high quality and exceptional luxury. And all at a wholesale price! 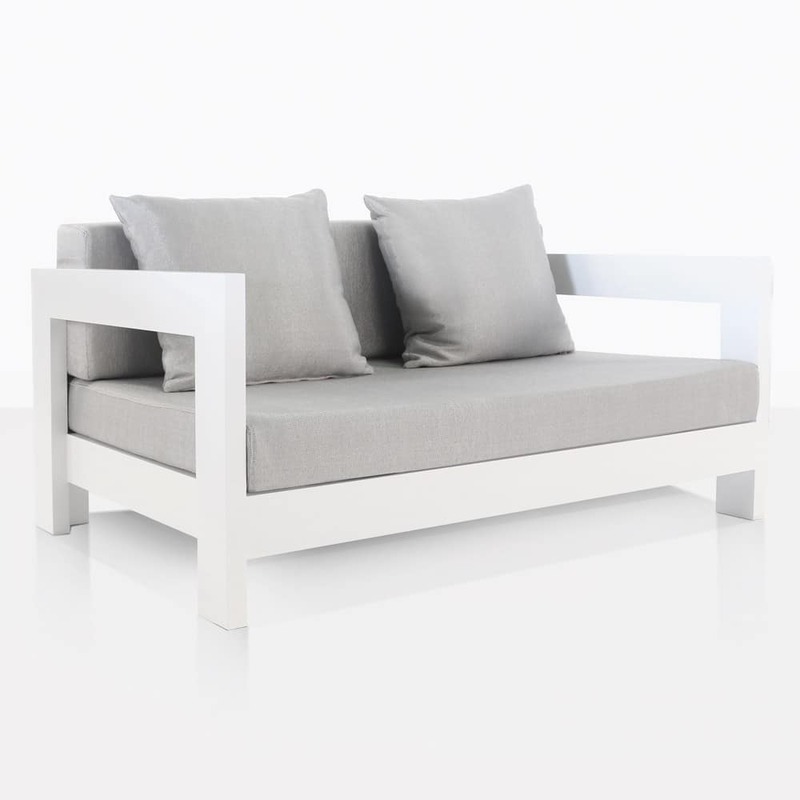 Design Warehouse is the leader in outdoor furniture in New Zealand. Peruse our website, or visit our magnificent showroom to behold the amazing array of deep seating, shading, dining tables and chairs, accessories, barbeques and much more. We pride ourselves on having everything you need to create a stellar outdoor living area. 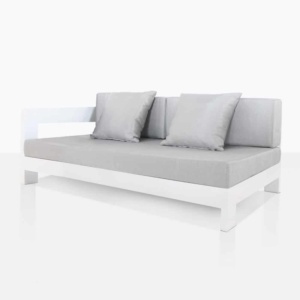 The Amalfi Aluminium Collection boasts the Coffee Table, Left and Right Daybeds, Corner, Center, Chair and is also available in Charcoal as well as White. 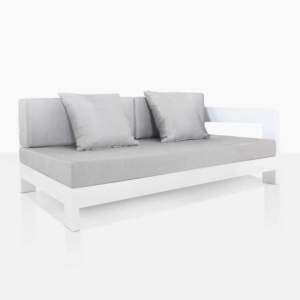 Giving you even more choice when designing the outdoor area of your dreams! 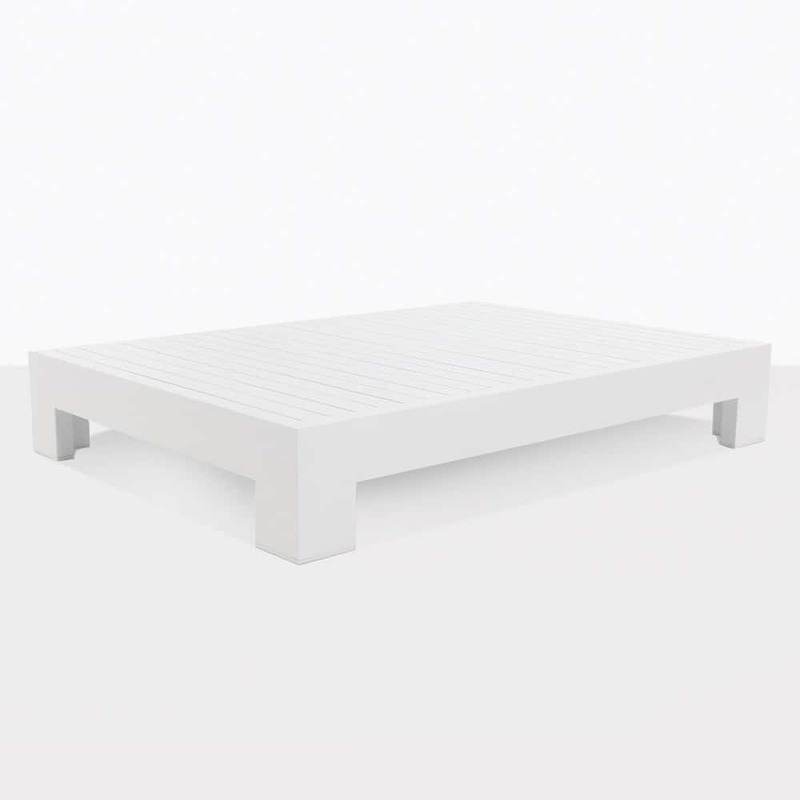 To order your Amalfi Aluminium Coffee Table in White, call us today. Style and opulence is yours, if you choose it.